Daylily rhizomes rarely need to be lifted from the soil, but it can easily be done without harm to the plants. The most common reasons for lifting bulbs from the ground is to divide over-crowded stands of plants or relocate the bulbs. Lift daylily bulbs in the spring or early fall when seasonal heat, drought and cold stress are at a minimum. 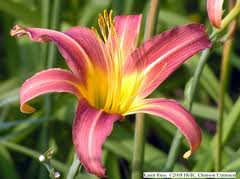 In warm climates, daylilies can also be lifted and replanted in the winter. Dig a shallow trench around the ball of each daylily clump to be removed with a trowel or spade. The line will serve as an excavation guide for the daylilies that need to be lifted from the soil. Dig straight down in the soil, not in toward the rootball, until the shovel or spade can be maneuvered under the main rootball of the daylily clump. Slide a forked tool under the clump and gently lift it out of the soil with a lever action. Dig deeper to loosen more of the soil around the roots if the roots are not released easily. Divide clumps that are larger than 2 or 3 feet in diameter by excising pieces of the clump with a garden fork or a spade. Excise the newer plants around the edge of the clump first, working inward toward the older plants. 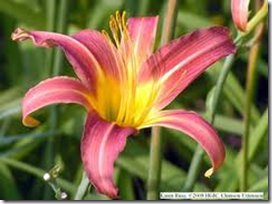 Leave the daylilies in small clumps of one to 10 plants. Larger clumps will resume blooming more rapidly than smaller divisions upon replanting.